49 magnetic Tetris bricks in 7 colours. 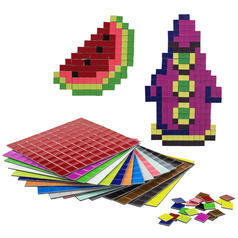 Set consisting of 49 coloured Tetrimino-shaped magnets: Officially licensed. The act of food gathering (nowadays often called 'shopping') is possibly the most Tetris associated process of all! It starts with the quest for a free parking place (how do I manage to get my giant car into this tiny gap to complete a row of 4, hoping to be able to get out of the car easily enough after that?). Then it comes to filling up the shopping cart (challenge: stack your goods on the bottom so nothing will get squished, while at the top, nothing will fall out). After that, the conveyor belt challenge! Kind of a high-speed bonus level: Can you pack your items faster into your bags (and so that they don't collapse and spill!) than the cashier can scan them? Singing the Tetris melody while packing scores extra! But don't let the game end when you get home! 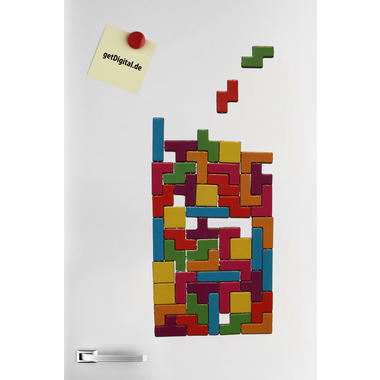 With Tetris Fridge Magnets you can now play an extra level! This set contains 49 bricks... 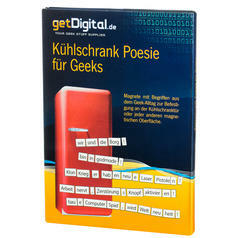 Arrange them slowly or fast, just as you like - always new, always different :). 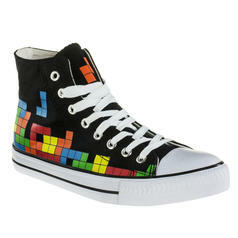 Perfect for all Tetris addicts and those who are on their way to addiction! 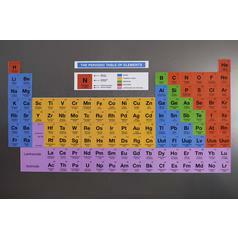 Content: 49 Tetrimino-shaped magnets in 7 colours. Dimensions: Average size: 2cm x 1,5cm. 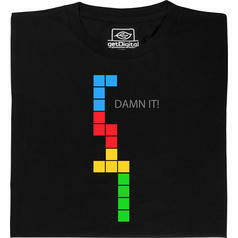 Licence: Officially licensed Tetris product. 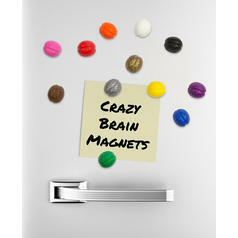 12,95 € lade... Neodymium Brain Magnets 12 piece set Set of x12 extra strong, coloured magnets.